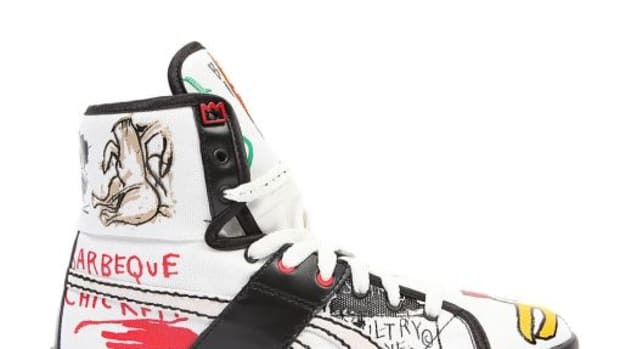 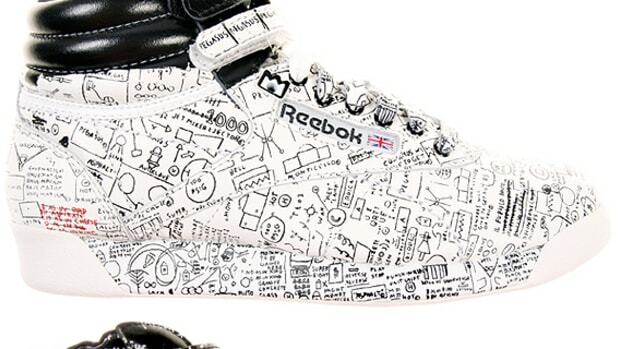 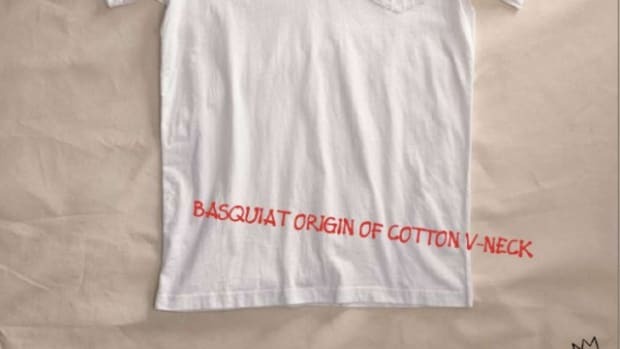 Reebok has launched a new design from the Basquiat Affili&apos;Art Collection. 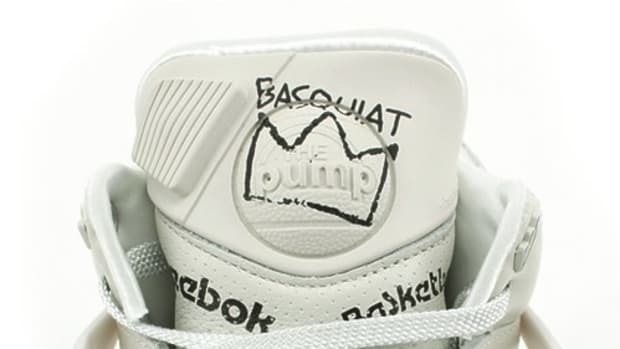 Once again the classic Omni Pump Lite model is chosen for the collaboration, sprinkling Basquiat artwork on the basketball sneaker. 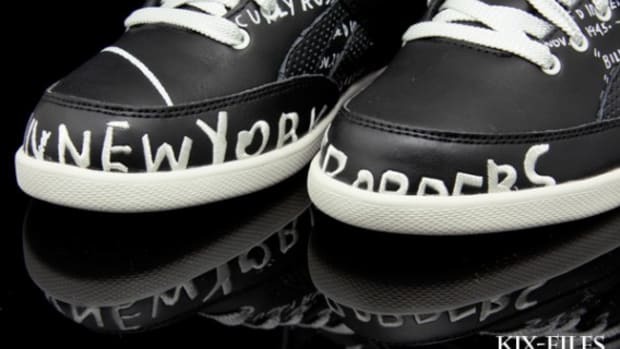 Monotone uppers are made from leather, patent leather and mesh materials, balancing out the sporty aesthetic in an unique manner. 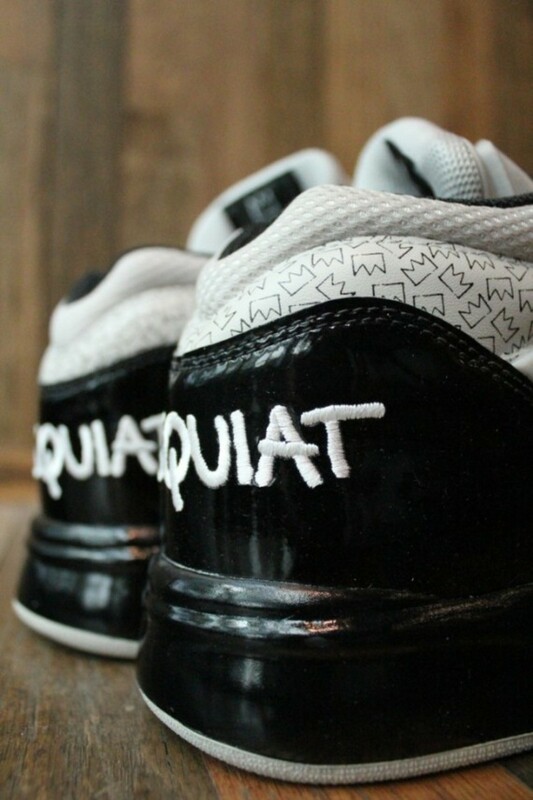 Embroidery on the shiny patent leather heel panel features the name of the artist in white, mirrored by shiny black midsoles below. 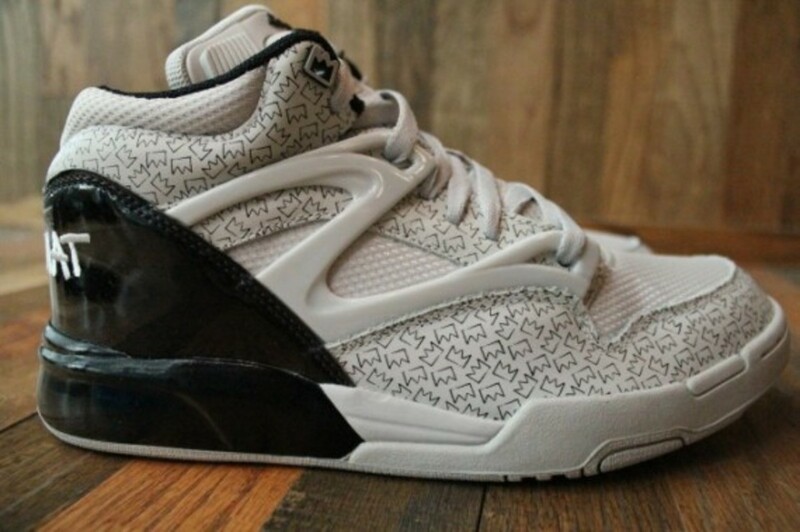 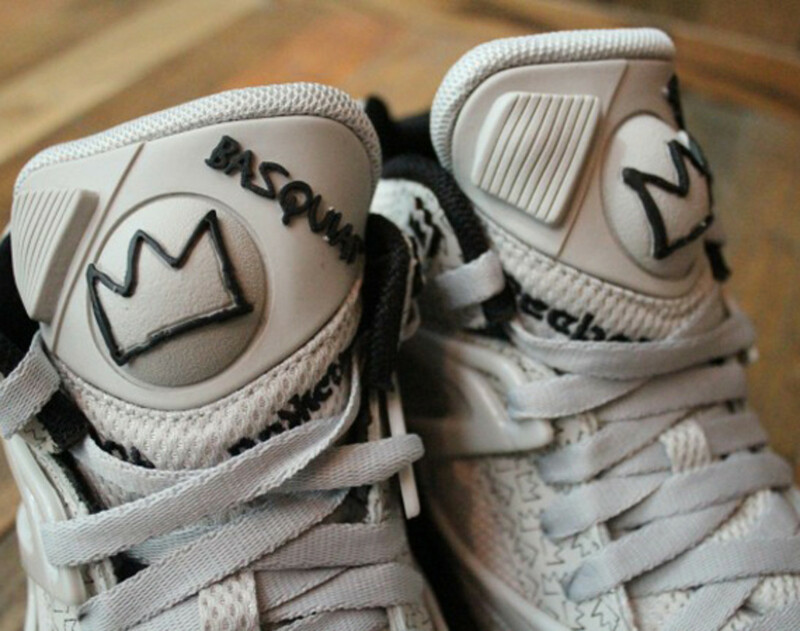 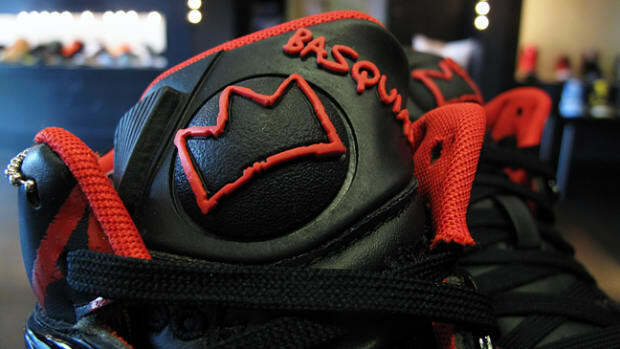 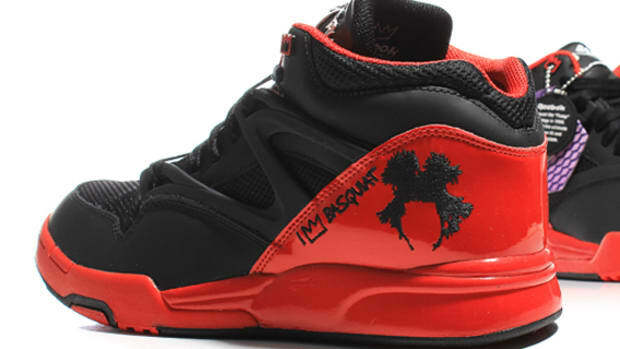 Replacing the iconic Pump logo on the tongue, crown illustration and Basquiat signature draws attention on the tongue. 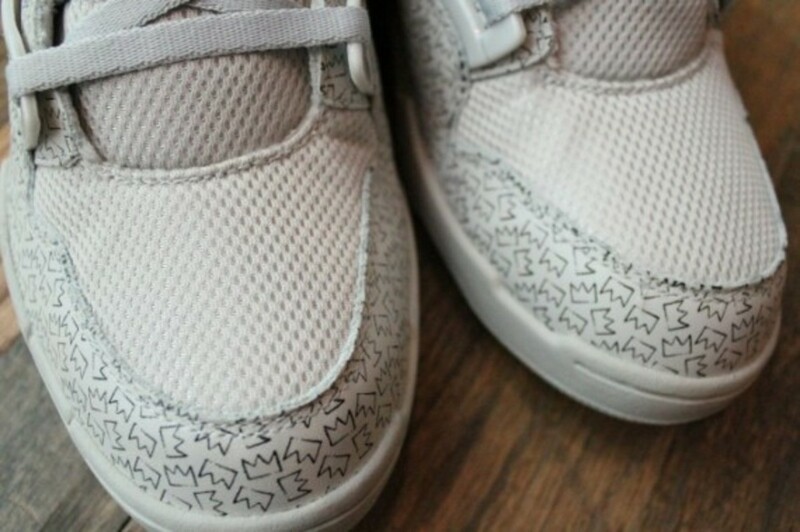 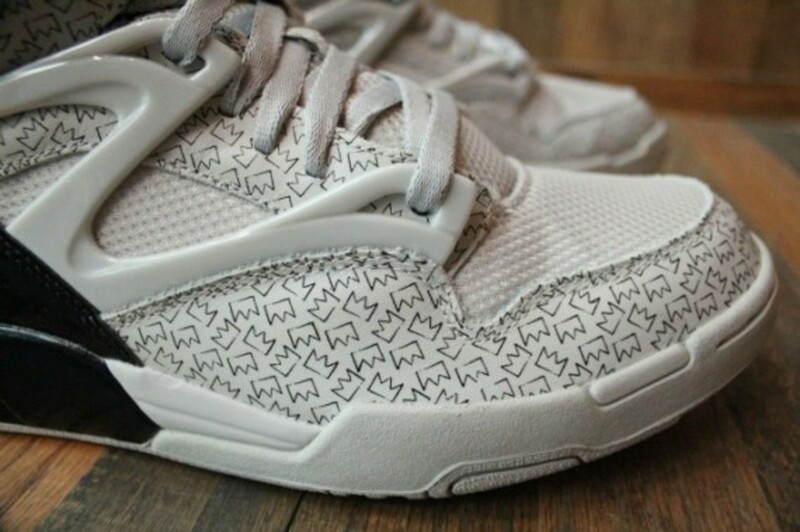 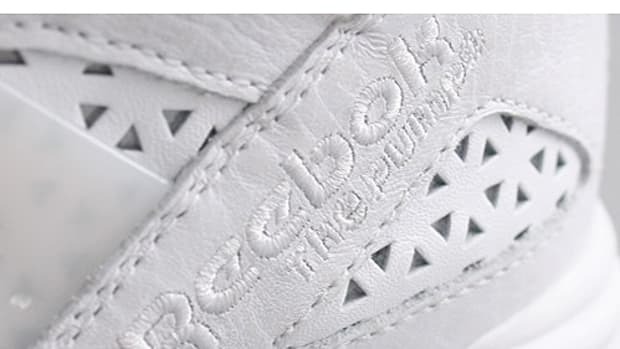 Same crown illustration is printed as an all over print on the white leather body of the sneakers. 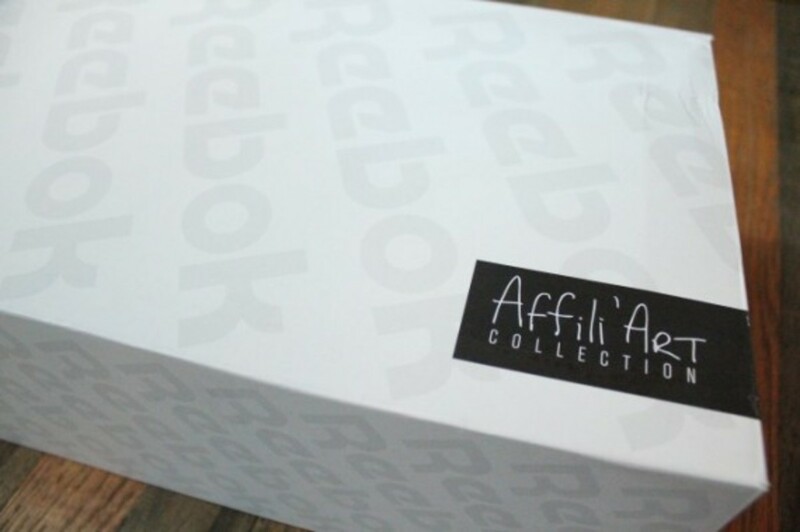 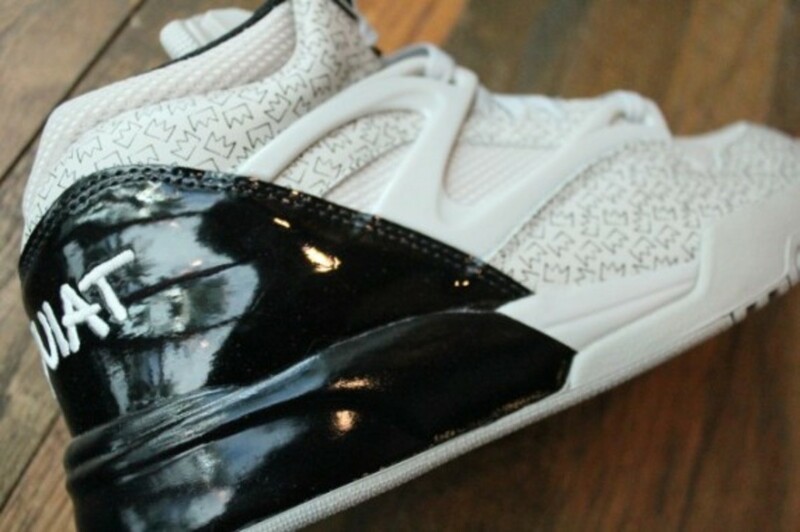 Custom box packages the limited edition sneakers and Mr. R Sports is already stocking these sneakers in their shops.